Klapr's standard storage and presentation products are extremely suitable for adding personal items by means of stickers, markers or a nice, interesting print. The Klapr collection consists of storage and presentation products that are available per item. You will receive the products as standard and this means that you can let your imagination loose on the canvas of the Klapr products. 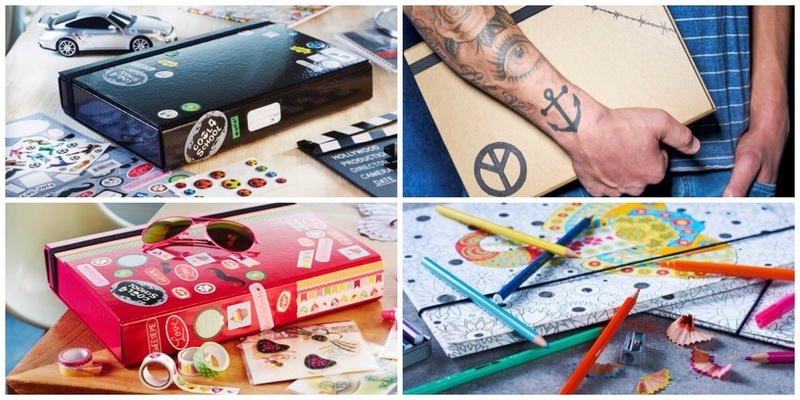 Klapr's colourful collection lends itself well to (personalized) stickers. The Kraft collection lends itself well for (permanent) marker, engraving or lasering. You can also add a 'do it yourself' colouring page onto the storage and presentation products. This option is possible from a minimum print of 100 pieces. There is something for everyone and that is the beauty of the Klapr collection.